Whether you are pitching your product idea to a project capitalist or applying for a small business, a business plan is necessary. Business plan software’s are, specifically designed to help you through each part of the creation process, which include identifying funding options and market research. Here we offer a full range of software’s focused on delivering business insights that matter to both you as well as your customers. If you want to project the success of your company then go for these below mention ten best amazing and useful business plan softwares. Maus Master Plan is simple to use and is, designed in such a way that it will help you to save your precious time. This plan is particularly, designed for those who need an insightful and professional marketing or business plan to, simply gain finance. Maus Master Plan will prompt you with different suggestions and ideas as well as demonstrate through real life examples about how to analyse your business as well as prepare successful strategies for future. 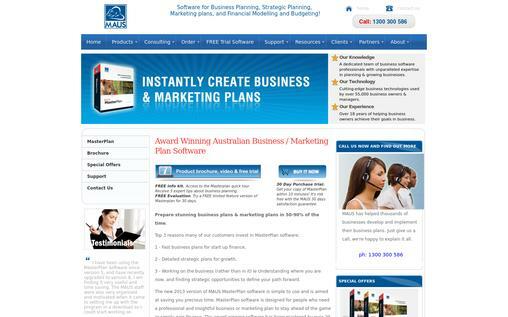 Maus Master Plan software makes use of hassle free and breakthrough technology to guide you step by step procedure. 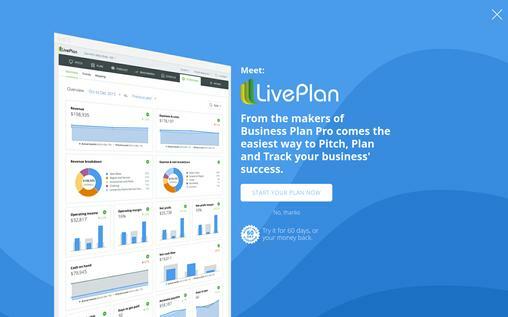 Business Plan Pro is the world’s top -selling plan software. This tool consist five-hundred sample business plans for hundreds of different business types. You can use the built-in sample plan browser for selecting one sample that will suit your business. Make use of sample business plan as inspiration or you can directly edit it to match your business. It is available with amazing formats of banks, investors, as well as SBA-approved lenders. Using Business Plan Pro, you can also save your business plan to PDF, Microsoft Word, PowerPoint, or Excel for quick and easy pitch presentation. Enloop helps students and seasoned business owners to build a bank-ready business plan as well as quantify the probability of success for their business ideas. 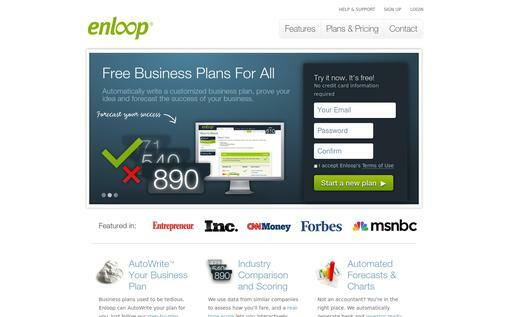 Enloop help entrepreneurs as well as business owners to build a business plan which include a FICO-like score. They also make use of industry stats for helping people. It will compare your forecasted performance to that of your peers. Enloop automatically make a customized business plan as well as performance score, complete with financial and text forecasts. 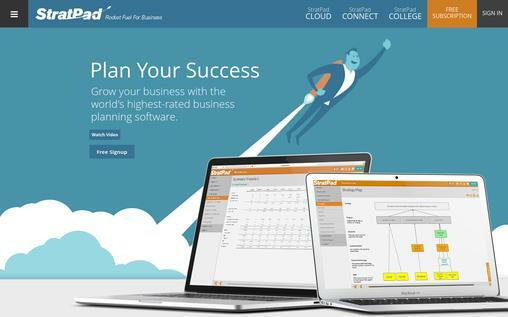 If you know that what you are doing with the business, and need software to organize a business plan along with useful diagrams and useful graphics then StratPad is a perfect choice for you. StratPad offer service to help business owners to find others to work with, such as nearby lawyers and accountants, promising high quality matches between lenders and entrepreneurs. It is available with affordable price. Certainly most people will be happy with free versions. 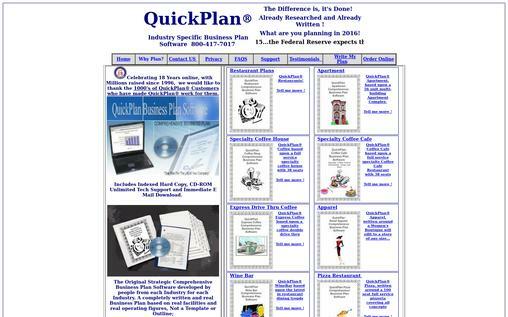 iPlanner.Net is an easy and fast business plan software. This web application is, designed for serial entrepreneurs, small business owners, advisors, and investors. 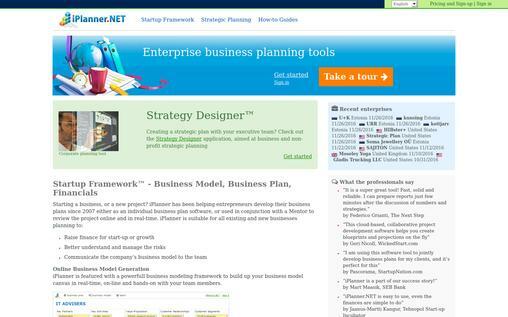 Using iPlanner.Net, you can write as well as share your specific business plan online. iPlanner.Net was launched in the year of 2007 and help entrepreneurs to develop their business plans either in conjunction with a mentor or as an individual business plan software to review project online in real-time. It help businesses to raise better understand as well as manage risk, raise finance for growth etc. Strategyzer will help you to simplify the process of starting a business. Strategyzer will help you to eliminate the guesswork as well as help you to start your business. It is available with Kick-start-guide. Strategyzer also offers an enterprise course, public master classes, and in-house training. 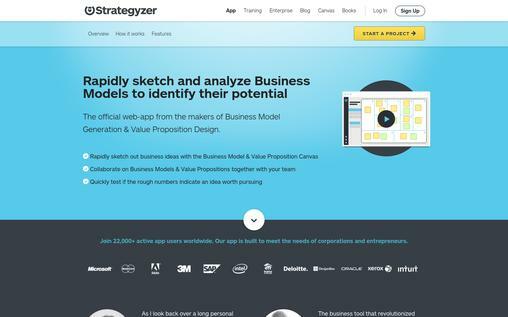 Strategyzer is a neat assessment tool that will help you to, easily test business hypotheses or assumptions. It has a Business Model Hub or an online forum, where you can easily post discussions, connect, join/create groups, get the latest news, etc. If management, scheduling, and project planning are things you deal with on regular basis then, you will understand how important it is to stay streamlined and organized. For this, Quickplan is perfect for you. This QuickPlan Pro application can be, easily used on your iPad, iPod, as well as iPhone. This application will surely help you in sharing of projects, project management, support of Microsoft project plan and synchronizing. What makes this particular application more versatile is the fact that you can easily coordinate your projects across different devices, as you want using iTunes, iCloud, Box, email, dropbox, and airDrop. You can also export your full project as an Excel, PDF, WBS files, image, as well as Microsoft project. Businessorter is one of the best business plan software, which will surely help you to boost your business. 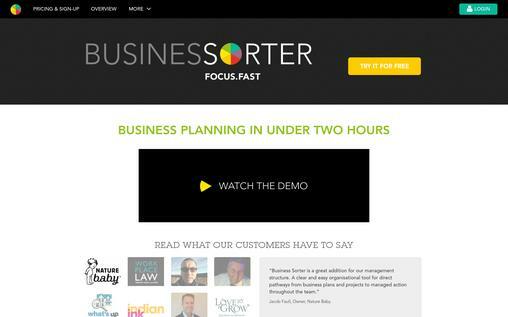 Instead of coming up with a plan from scratch, the content is, provided under six key areas such as finance, sales, people, goods and services, operations, brand and marketing your ninety percent of the work is done using Businesssorter. It is intuitive as well as very easy to use. It offers a framework to run your business more profitably and efficiently. 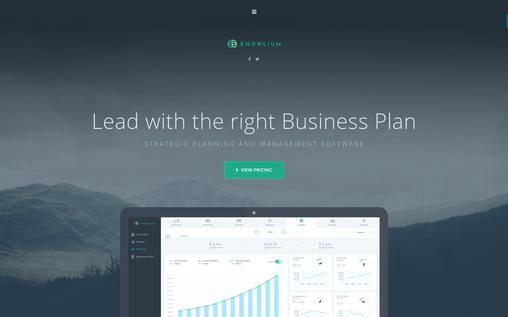 Knowlium is a web application, which will guide you through the process of business discovery, management, and planning. It will make it easier to collaborate and develop the right business plan for your start-up. By integrating knowlium with your accounting software, it will also allow you to track financial progress compared to the goals you setup. Knowlium intend to be the central place to store the ever-growing bank of knowledge, which you will generate as your start up, takes shape. 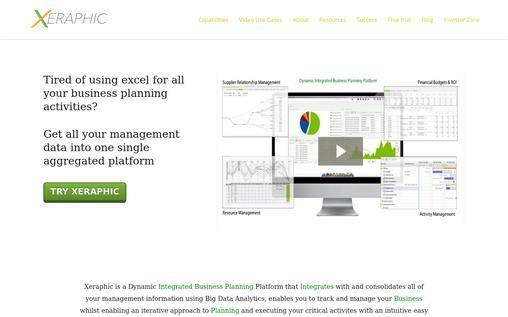 Xeraphic is a dynamic integrated business-planning platform, which integrates as well as consolidates all your management information by making use of big data analytics. Big data analytics enable you to manage and track your business whilst enabling an iterative approach to plan as well as execute critical activities along with an intuitive easy to use platform of data driven application. Xeraphic address general issues of coordinating initiatives control decentralized demand and supply. Business plan software’s will take guesswork out of the process and create a professional business plan as well as secure the funding. Using these above mention ten best business plan software’s, you can enhance your business standards by simply downloading them. These business plan software’s will let you to, easily develop different strategies and compiling a complete business plan.